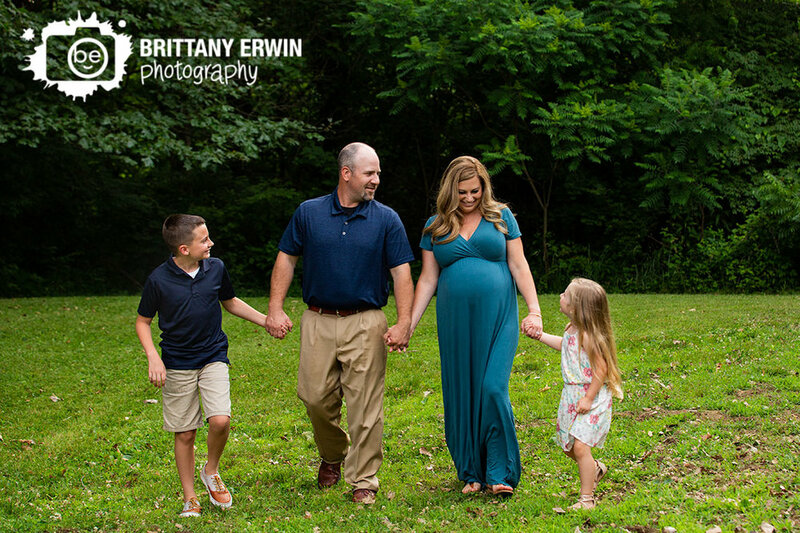 I have had the pleasure of photographing Melissa and Brandt's family for many years now including little(maybe not so little anymore?) miss Audrey's maternity and newborn portraits. Now I am very excited to share with you maternity photos for their latest addition! I can't wait to meet the little lady and I know her big brother and sister are excited to meet her too. :) I had so much fun with this crew walking around the pond, making jokes(some more childish than others on my part) and visiting with the chickens after we were all done. Congratulations to Melissa, Brant, their kiddos and their families and I can't wait to see you all again soon!